PALMOBI investigates Early Upper Palaeolithic (EUP) hunter-gatherer interactions with their environment at micro- and macro-regional scales under variable ecological conditions through the integrative use of cutting-edge interdisciplinary methodologies and their application to the archaeological record of the Aurignacian and the Gravettian across two contrasting regions (temperate Belgium & continental Romania). A comparison of these two regions by applying state-of-the-art stone tool technology and raw material economy analyses, geochemical sourcing and GIS geospatial techniques in tandem with anthropological methods and theories derived from evolutionary anthropology has never previously been attempted. A marked increase in use of high-quality, non-local raw materials in lithic assemblages is unknown until the Gravettian. This has been interpreted as the result of climatic fluctuations and deterioration leading toward the Last Glacial Maximum, which may have triggered greater mobility and more extended social networks than among previous hominin populations. PALMOBI aims to investigate the main factors and tradeoffs underlying variation and change in the organisation of stone tool technology and related mobility strategies between the Aurignacian and Gravettian periods. FIG 1 — Map of Europe during the Last Glacial Maximum. Blue dots in the yellow frames indicate selected EUP sites for PALMOBI. Sites outside the yellow frames have been analysed by the PI in previous projects (Map: modified, after S. Grimm; Data: SRTM30_Plus, Datum: WGS 84). Raw material sourcing is critical in addressing the issue of mobility. Yet, the identification of lithic raw materials is traditionally limited to macroscopic classification based on visual criteria. However, macroscopic identifications are problematic, especially in the case of visually very similar raw materials such as chert or flint. In particular, attributions to distant sources should be reinforced by microscopic/petrographic and geochemical comparisons, given the behavioural implications of long distance material transport regarding mobility patterns and social organisation. Laser Ablation - Inductively Coupled Plasma - Mass Spectrometer (LA-ICP-MS) is a quasi non-destructive technique, which analyses multiple trace elements with high sensitivity in a very short time and is increasingly used since the mid-1990´s to investigate intra- and inter-regional lithic raw material variability and provenience. Using LA-ICP-MS and multivariate statistical analyses on a substantial number of geological and archaeological flint samples, the geochemical signature and variability of Romanian Prut flint and Lower Danube “Balkan” flint has revealed the existence of long-distance transfer of Balkan flint into the Eastern Carpathians region over 400 km by EUP foragers. The likely presence of Dniestr flint from the Ukraine in East Carpathian assemblages opens unforeseen research perspectives. flint on the Prut river, Romania. The scale of group mobility appears indicative of adaptation to environmental context, moves being longer or increasing in frequency over long distances under conditions of global cold temperatures as subsistence resources are subject to important fluctuations. Temperature and precipitation as proxies for risk are significant predictor variables in modelling technological variation across hunter-gatherer groups. It would be naïve to expect simple relationships between humans and their natural environment. However, before inferring social or symbolic causes for variation in human behaviour, potential tradeoffs should be evaluated first. In PALMOBI palaeoenvironmental constraints hold the key to modelling the decision-making process of technological investment and mobility to cope with variable ecological conditions. 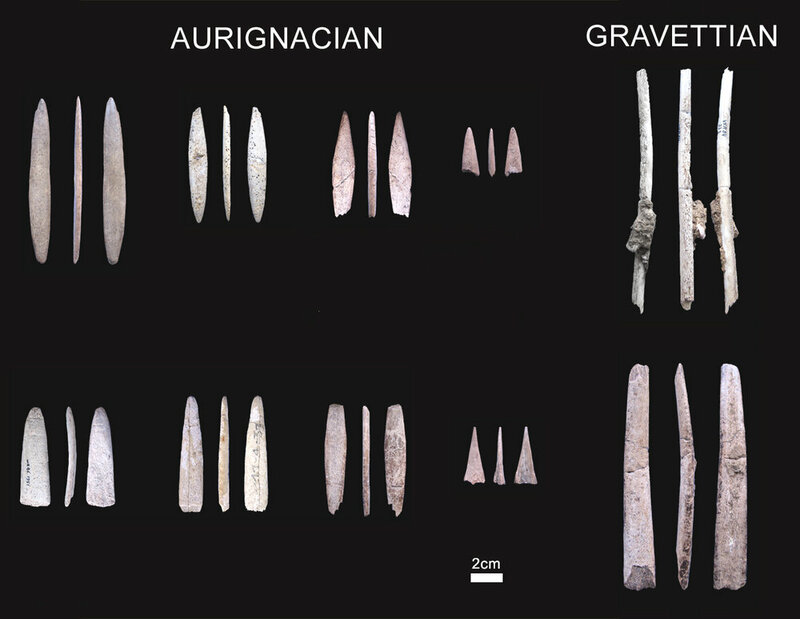 In order to move towards a more holistic understanding of technology, subsistence and mobility in north-western Europe, osseous projectile points from Grotte Walou have been analysed using a combination of ZooMS and direct radiocarbon dating. FIG 3 — Grotte Walou (Belgium). PALMOBI examines the predictive ability of the “attractiveness of raw material sources” with respect to terrain difficulty, energy expenditure and other independent variables to understand why some sources were used more than others, using the resource selection model recently developed by Lucy Wilson and Constance Browne. Assuming that (a) present day raw material occurrences can serve as proxies for the prehistoric landscape, and (b) that the number of lithic artefacts found in a lithic assemblage positively correlates with the attractiveness of a source area, changing strategies for procuring and managing supplies of siliceous raw materials from different source locations can be addressed. A Geographical information system (GIS)-driven multivariate modelling approach will help unravelling human choices from geologic-geographic factors. Preliminary results indicate that terrain difficulty and mobility costs matter and have a better predictive ability than Euclidean distance alone to explain assemblage variability. FIG 4 — Least-cost path from raw material sources to Stratzing (Austria). While continental European Palaeolithic research is mainly concerned with origins, technological lineages, and culture history, PALMOBI assesses EUP hunter-gatherer mobility strategies and technological decision-making, hence adaptability, in the face of variable palaeoenvironmental constraints. The methodological advances resulting from this project concern the resilience of technological behaviour in the face of climate change and the role of mobility in promoting social change. In January 2018, I will be organising an international conference titled ‘Social inequality before farming?’ bringing together prehistoric archaeologists, cultural anthropologists and computational modellers to explore new multidisciplinary approaches to the investigation of social relationships in prehistoric hunter-gatherer societies. Ten years after the symposium ʻPathways to Power: New Perspectives on the Emergence of Social Inequalityʼ organised by Douglas Price & Gary Feinman at the 2007 Society for American Archaeology meeting in Dallas, Texas, it is about time to move research on social inequality and the variable socio-political organisation of prehistoric hunter-gatherers before farming back to the center of the archaeological agenda. 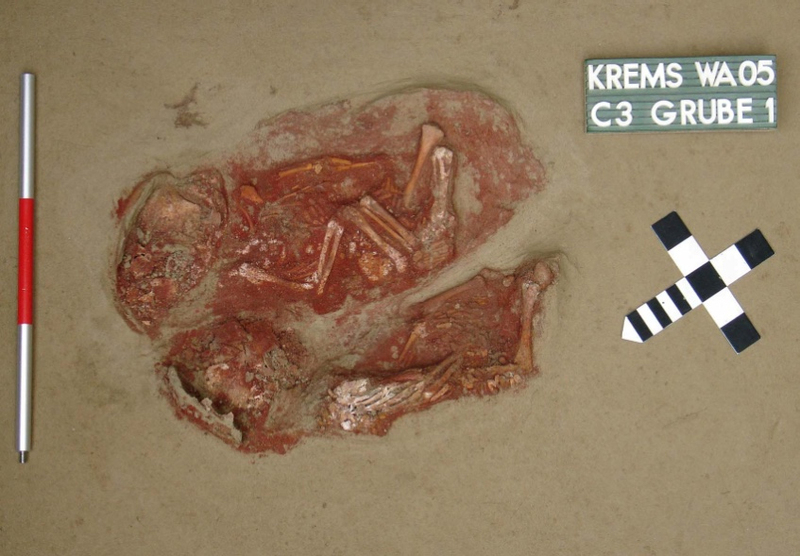 (Photo: Austrian Academy of Sciences).